How does Apex differ from Fortnite? The game is a high paced fresh new look at the Battle Royale genre, and has challenged Fortnite for the top spot on Twitch for nearly a week. 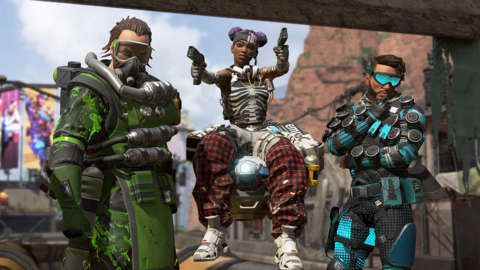 Apex Legends has absolutely dominated the world of gaming this week, and for good reason. The game is a high paced fresh new look at the battle royale genre, and has challenged Fortnite for the top spot on Twitch for nearly a week. While both games are battle royale experiences, there are quite a few differences between them. Let’s take a look at how the games compare. 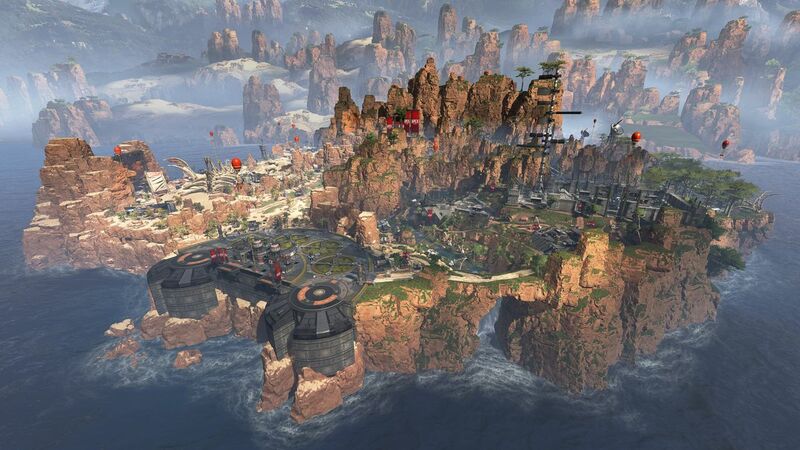 The first thing players will notice about Apex that is different from Fortnite is the art direction. While Apex does maintain a sense of cartoonish charm with its character models, it is much less prominent than in Fortnite. Fortnite on the other hand feels much more animated, and for good reason. Many of the skins and features that Fortnite introduce into its game just wouldn’t feel right in a hyper realistic environment. Fortnite’s visual charm doesn’t come from trying to imitate reality, but instead from trying to distort it into a circus style caricature of itself. Both games have a unique art style that are seemingly perfect for each of them, but the differences definitely don’t stop there. The building mechanic in Fortnite is absolutely legendary. Prior to Fortnite, there hadn’t really been any game that combined shooting and building quite as good. With the exception of a few modded Minecraft type games, building and shooting didn’t really even exist. Fortnite exploded in popularity due in part to how fun and smooth its building mechanic feels. Having someone open fire on you from across a field only to thwart there hopes by planting a fortress in their path is satisfying. Fortnite’s building mechanic introduces an entire new concept into the shooter genres classic high vs low ground scenario. It gives players the ability to establish a high ground out of mid air. If you have ever watched two high level Fortnite players in an intense build off, you’ll know it’s like watching Chess Masters locked in a heated struggle. Apex smartly avoided trying to imitate Fortnite in this way and instead opted to use a class system. 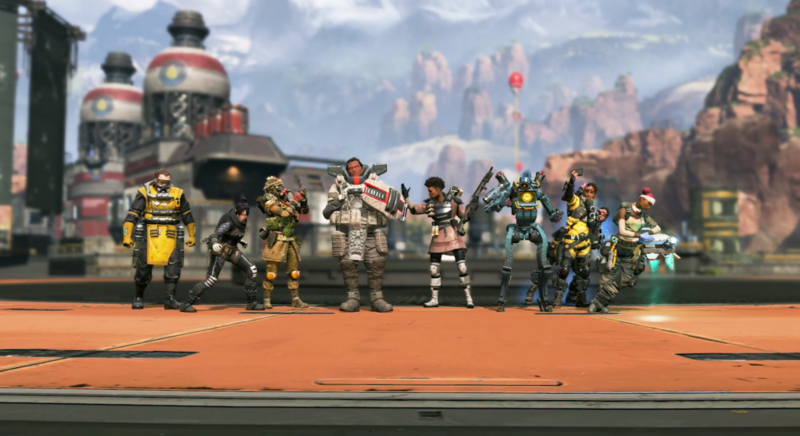 Classes in Apex are called Legends and each their own unique character. The Legend system is very similar to Overwatch, in that every Legend has a set number of abilities. These abilities come in the form of passive and active abilities. Each character in Apex can use any weapon they pick up, just like Fortnite, but they’ll also have extra moves that do a vareity of other things. For example, if you enjoy the high ground playstyle of Fortnite, consider trying Pathfinder. This forward scout is a quirky Robot who has a variety of abilities that allow him to utilize a grappling hook. Apex feels like it has a character for everyone. If you enjoy a darker more roguelike playstyle, you’ll want to check out Wraith. This inter-dimensional skirmisher utilizes rifts in reality in order to teleport herself and her teammates around the map. If Wraith sounds like she fits your playstyle, check out our character guide for a head start. An interesting decision made with Apex was to release the game with squads only at launch. 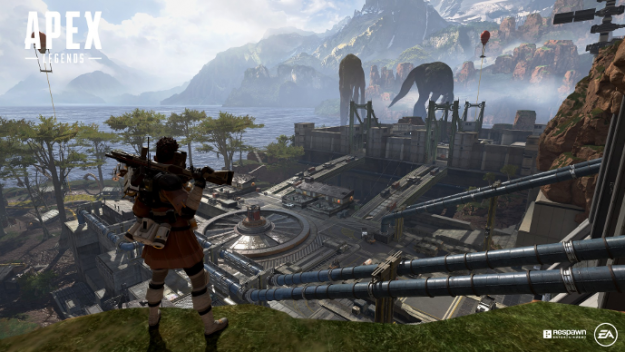 There is also no word on whether or not Apex will include a solos mode, but Respawn’s CEO Vince Zampella did respond to a fan asking about solo mode on Twitter. The fan told Vince if he put solo in Apex as quick as possible he would deliver his office doughnuts. Vince replied to the fan by asking if any kind of doughnuts were on the table. While Apex may not have a solo or duo mode just yet like Fortnite, it’s three man squad set up doesn’t get boring. Just like in any team game, you’ll sometimes get squad mates who have absolutely no intentions of cooperating, but when they do, the game is beautiful. Some characters have support/healing abilities built in, this alone is enough to incentivize players to cooperate. Launching Apex with squads alone is also an interesting decision from a marketing perspective. If players are sick of playing with random people, they’re more likely to try to get a friend involved in the game. Fortnite on the other hand allows players to play solo mode if they so choose. This means players who que up for squads are generally more interested in working together, otherwise they’d just play solos. While we’ve just touched the tip of the iceberg with regard to the differences between Apex and Fortnite, the games really are two different experiences. Fortnite’s charm comes from its intricate building mechanics and reactive world. The source of Apex’s charm is its unique characters and how they change the flow of the game. Both Apex and Fortnite are incredibly fun and unique experiences, even if they exist within the same genre. Since the explosion of games like Fortnite and PUBG, the battle royale genre has become oversaturated as developers try to sneak their hand into the candy bucket. Apex feels like a genuine attempt at making something fun and unique instead of a forced cash grab. Fortnite has impacted society in such a way that we more than likely won’t see it fading into obscurity anytime soon. Something important to remember when discussing these games is that we are allowed to enjoy both. When gaming companies compete, the consumer gets the chicken dinner.